Note that iRez has peeps called “Authors” and peeps called “Photographers.” The only difference is what we thought they’d probably post more of. Any “Author” is welcome to do a “World Today” photo post any time they like, just as any “Photographer” is welcome to do a “written” post any time they’re so inclined. This was our participation in today’s “Dance Anywhere” project founded by Beth Fein. At exactly Noon PDT (19:00 GMT) people around the globe dropped everything and danced. This can be just a sentence or two, or longer if you like. If you want a nicer thumbnail for your verticals, or even on your horizontals, if you’d like to crop in on the detail, since the thumbnail is smaller, you can use any size, but 660w x 330h pixels is ideal. 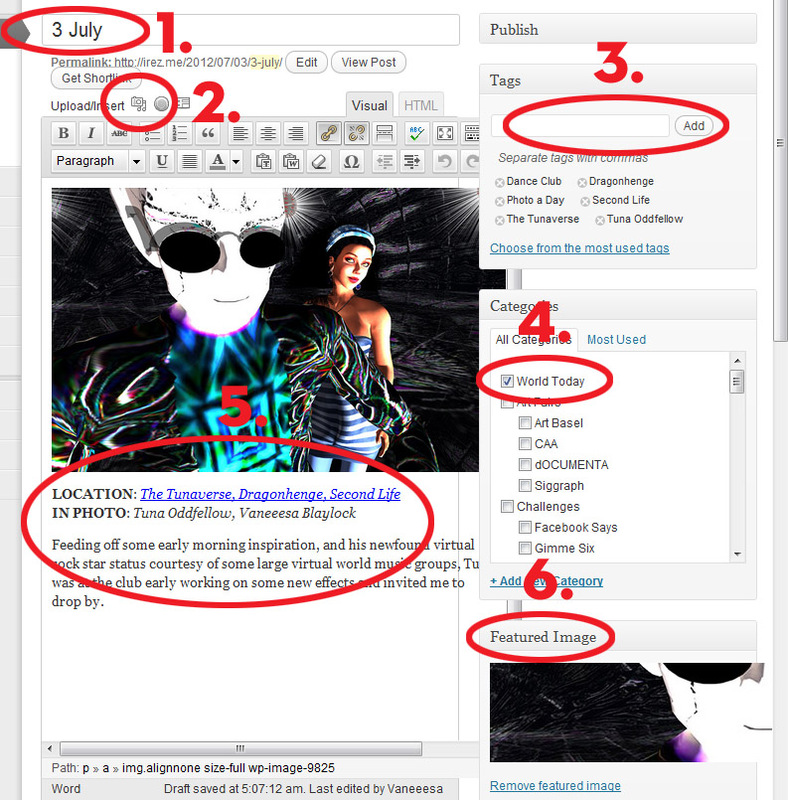 With a program like Photoshop or Gimp you can crop to exactly 660 x 330 pixels for your featured image. 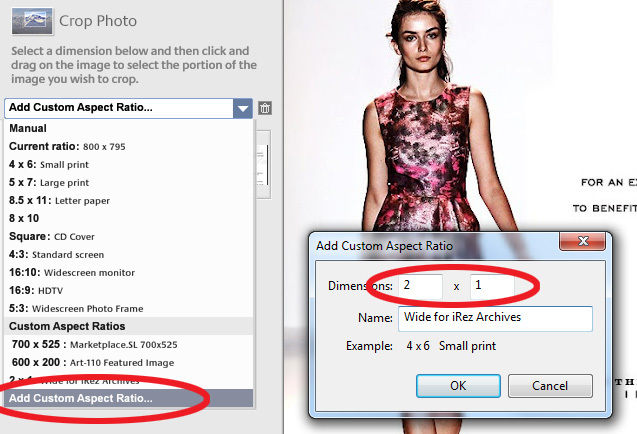 With software like Google Picasa you don’t specify pixels, instead you click the drop down and at the bottom select “Add Custom Aspect Ratio” and say 2 x 1.